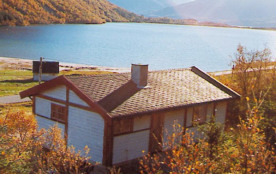 This holiday cottage lies right by the lake Skarsvatnet on the island Åmøya, with a connecting bridge to the mainland. 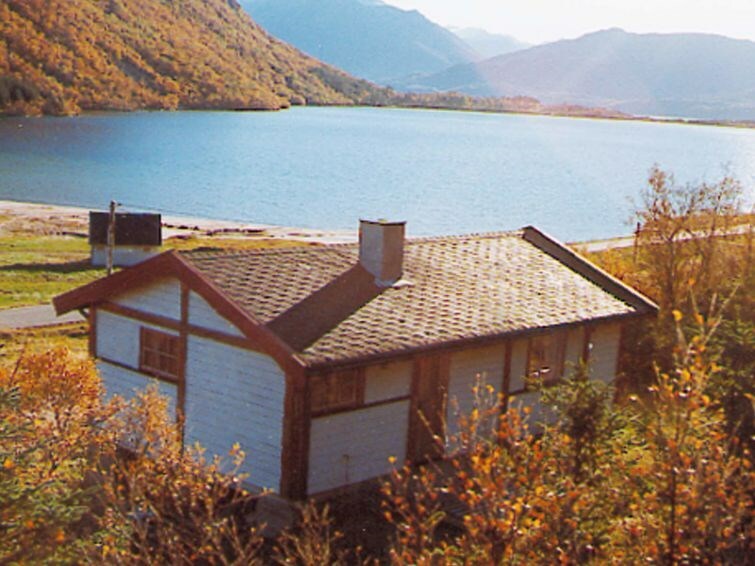 The house is right by houses 20926 and 20926, with a beautiful view of the lake and the mountains nearby. Child-friendly area with plenty of space for the children to play. The lake has beaches with shallow water. 1 km to the sea which is rich with fish, and where a 13 ft boat with motor is included in the rent. 18 ft boats with 15-25 hp motors can be rented per day or per week. The area has different types of fishing, both between the islands and out on the open sea. The island Åmøya is great for hiking. The mountains have magnificent views of the mighty Northern Sea and the islands around. Take road trips to the glacier Svartisen or the maelstrom Saltstraumen, or car ferry to the little islands beyond. Also visit the the coastal city of Bodø and the Aviation Museum here.